I’ve really enjoyed taking a break from the online world this year. It’s helped me refocus internally, figure out my priorities, learn what makes me tick (again), and gear up for the biggest challenge I’ve ever set myself without the added pressure of talking about it. 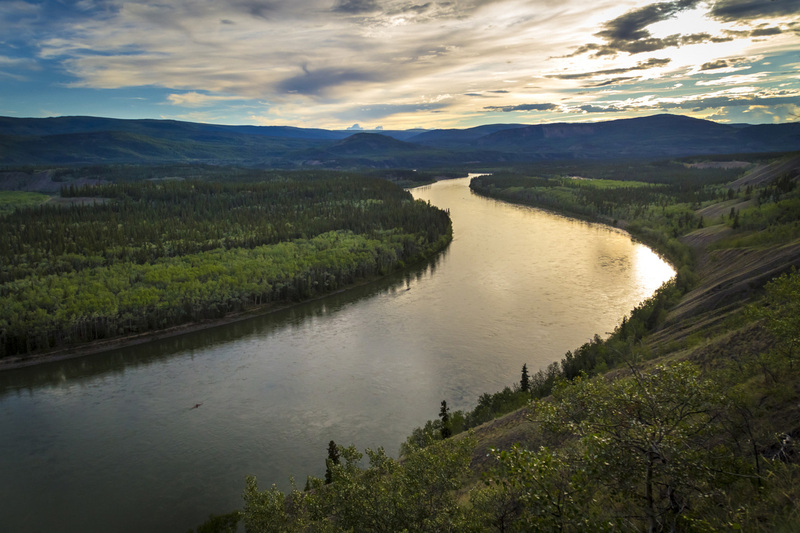 At the end of June (29th to be precise) I will set off amongst 99 other boats in the world’s longest annual canoe and kayak race: The Yukon River Quest – 715 km (444 miles) from Whitehorse to Dawson City in the Yukon, Canada. It’s termed ‘a race to the midnight sun’, because competitors paddle day and night while the sun never sets to complete the distance in less than 74 hours (3 days). The route itself is not difficult, minus one class 2 rapid and the sheer size of the river; meaning tourists can rent a boat and make their way downstream in a period of around two weeks. 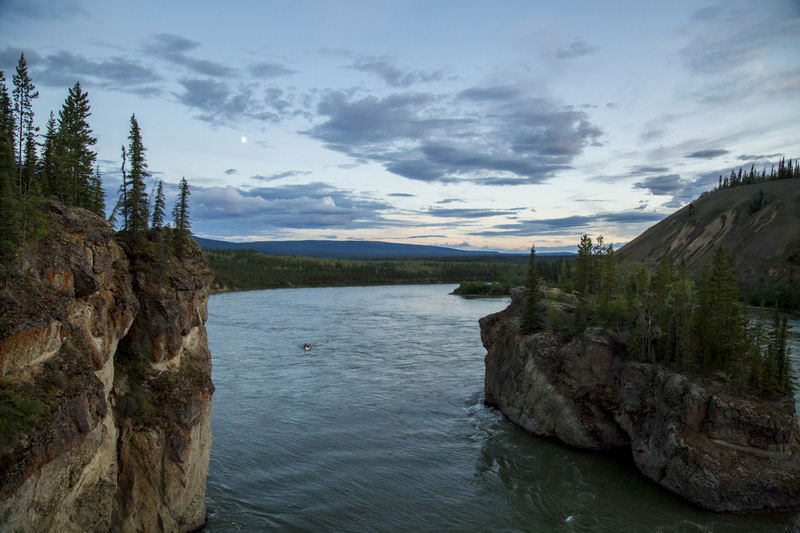 The challenge of the Yukon River Quest however is the pace at which it’s undertaken. It’s a test of endurance both physically and mentally, which is why it captured my attention almost eight years ago when I first heard about it. The race includes one mandatory 7-hour layover at the halfway point in Carmacks, and another 3-hour layover around 100 km from the end. For the rest of the race you eat, pee, stretch, and change clothes etc from inside your boat. Because the river is so wide with a steady flow once you cross Lake Laberge (which some of you may recognise from Robert Service poems), valuable time is lost every time you vacate your boat. I’ve heard stories from past racers who don’t even pee until they reach Carmacks (25-35 hours in), but these people are seasoned racers with bladders of steel, and I can assure you I’m not in that category yet. There are three cut-off points one must meet throughout the journey. The end of Lake Laberge (80 km into the race in 14 hours), the halfway point in Carmacks (358 km into the race in 35 hours), and the end in Dawson City (715 km in 84 hours – including the 10-hours of layover time). Essentially the race begins at 12:00 on Wednesday the 29th of June in Whitehorse, and ends by 23:59 on Saturday the 2nd of July in Dawson City. Though the race travels with the flow of the river, Lake Laberge is one the biggest challenges at the beginning of the race. It’s 50 km long, and racers have been known to experience fierce head winds and up to 3-foot waves as they cross the exposed body of water. Five Finger Rapids (the class 2) has also been known to trip up paddlers, but hypothermia is the biggest reason for people not to finish (caused by extreme exhaustion, sleep deprivation and below zero temperatures throughout the evenings). To be quite honest it’s taken me three months of training and conditioning to convince myself that I may actually have a chance of completing it. I’ve never been so haunted by the idea of failure before, and I think it’s because I’ve never set myself a challenge that’s been so far beyond what I know I’m capable of. I was nervous about not making the summit when I hiked Mount Kilimanjaro in 2011, and I worried daily that perhaps I wouldn’t complete the Pacific Crest Trail because of injury or weather in 2013. But this new adventure has me digging deep into places I’ve never explored before to convince myself that I haven’t bitten off more than I can chew this time! I officially decided I would do the race on December 30 2015, a few days after meeting with my dear friend Pam (who I worked with during the Vancouver 2010 Olympic Torch Relay, and who has completed the race on multiple occasions with her husband Jim). 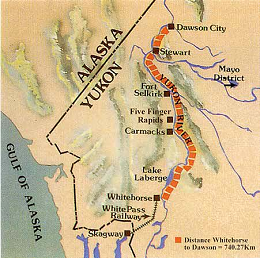 Like the Pacific Crest Trail, I learned about the Yukon River Quest back in 2008, and ever since then it’s casually been on my ‘to do list’, alongside learning guitar and becoming fluent in Spanish. Originally I naively thought the race ran over seven days, and when I learned it was only three my head began spinning. I’m not sure I’ve quite come to terms with how people can paddle for three days straight with almost zero sleep, other than the fact I’ve spoken to those who’ve done it. Hallucinations are a given, and some paddlers have been known to head back upstream thinking they’ve actually crossed the finish line before ending the race. Some have been rudely awaken after capsizing in the water, and some have simply been woken by the sound of their head banging against their deck. I’ve been told around 30% of paddlers quit after reaching Carmacks, which is a feat in itself, and what amazes me is that people are able to hit the water again after paddling 25-35 hours straight and do it all over. The race includes solo and tandem kayaks and canoes, larger voyager canoes (6 or more people), and for the first time ever stand up paddle boards (SUPs). I’ve chosen to paddle a solo kayak, and out of the 100 boats entered in the race (maximum number of entrants reached in March), there is only one other female solo kayaker included. Paddling solo is certainly the toughest way to race, as there’s no one to keep you awake or continue paddling when you’re eating, peeing etc. Plus it can also be a very lonely race, because when the pack spreads out beyond the lake, you may seldom see another boat. Wow! What a challenge. Will be anxious awaiting your stories of the adventure. I know you can do it! ZEAL ON! OH, an get on Face Book will you please. An awesome event you are taking on. I’m getting butterflies just thinking about it and imagining a zombie-like progression of paddlers trying to stay awake heading down the river. Get physio or expert advice on that wrist and strengthen what seems to be weak or a little damaged, That, rather than exhaustion that could be your weak spot. Will enjoy the lead-up posts but it sounds like we won’t hear much once you hit the water other than the mandatory stops. Think of your followers hovering above you like drones shouting encouragement. You can do it yes you can! This totally does not sound like fun. But it will be fun to read about! Girl, you never cease to amaze me ! I am so very happy for you and of course look forward to your sharing with us when and if you’de like. Steve and I will be driving down from Alaska and back. We leave in just 2 weeks. We would be happy to help in any way you could think of ahead of time. If you need any “recon” or boots on the ground anywhere along the way, just say the word. Wow!! reminds me of the RAAM race for cycling. This is going to be incredible, amazing, and really painfull…haha! !